The Tori Richard Ltd resort wear company was founded in 1956 by Mortimer "Mort" Feldman and his future wife Janice Moody. The company fact that surprises most people is that there is no such person as Tori Richard. The company was named after Janice's daughter Victoria (Tori) and Mort's son Richard. The company is and has been for some time under the guidance of another of Mort's sons, Josh Feldman. In the company's early years, Tori Richard specialized in women's resort wear but in 1969 Liberty House requested some men's shirts made from Tori Richard's signature prints. Those shirts were a huge success and by the 1980's their menswear line was selling more then their women's wear line. Known for its original prints and incorporation of various textiles and fabrics, Tori Richard prides itself on its ability to introduce and re-introduce powerful visual statements in its design. Tori Richard has digitized almost 14,000 textile prints. Feldman believes it is almost every print Tori Richard has created in it's 56 years, and says they are great resources to which designers and artists can refer. Aside from recycling and integrating these timeless prints into new designs, Tori Richard looks at trends and cultures from around the world for inspiration. Inspirations can come from Mexico to Borneo to Thailand, says Feldman. Currently there are eight in-house Tori Richard artists who concentrate solely on creating prints. 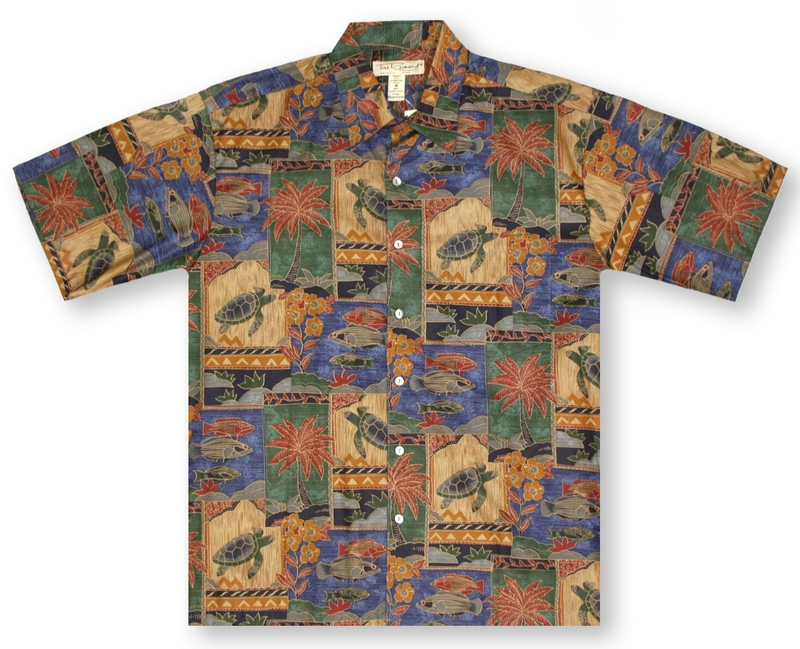 True to their roots, but always innovative, Tori Richard produces some of the finest "Aloha" wear you can purchase.